Buffalo, NY (June 2, 2016)–New York City artist Cassandra opens her first Buffalo exhibit, SOULJA, at the ¡Buen Vivir! Gallery for Contemporary Art, 148 Elmwood Avenue in Buffalo’s Allentown Art District on June 3 from 6-9 p.m. A second special reception will take place at the gallery during the Pride Parade on Sunday, June 5, noon – ? 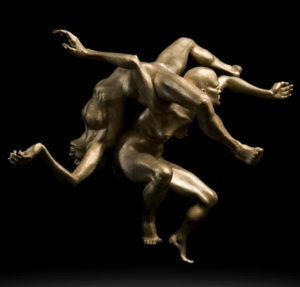 SOULJA features large prints, bronze sculptures and murals with themes exploring feminism, homosexuality, Latin culture and more. From an artistic perspective, Cassandra considers herself “Made in Mexico.” She studied at the National School of Painting, Sculpture and Printmaking in Mexico City and painted with the Mexican muralism workshop Ojos de Lucha (Eyes of the Struggle). Cassandra has work in the permanent collection of the Leslie-Lohman Museum of Gay and Lesbian Art in New York City. The Leslie-Lohman Museum is the world’s first dedicated LGBTQ art museum. 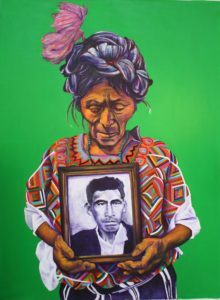 She also has exhibited at the East/West Gallery in London, and the Chopo Museum in Mexico City. On June 3, the ¡Buen Vivir! Gallery for Contemporary Art will host an opening reception with the artist at the gallery, 148 Elmwood Avenue in Buffalo. The opening will include complimentary wine, hors d’oeuvres and music by Greg Amato. SOULJA will remain on display until July 29. There will also be special gallery hours during the Buffalo Pride Parade, beginning on Sunday June 5 at noon. Regular Gallery Hours beginning June 4: Tuesday through Friday 1-4 p.m., Friday evening 6-8 p.m. and Saturday 1-3 p.m.
For more information and photos from the exhibit, visit the ¡Buen Vivir! Gallery for Contemporary Art.